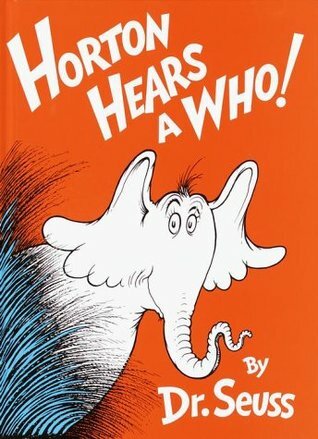 Synopsis: Horton is back! After his first appearance in Horton Hatches the Egg, everyone’s favorite elephant returns in this timeless, moving, and comical classic in which we discover that “a person’s a person, no matter how small.” Thanks to the irrepressible rhymes and eye-catching illustrations, young readers will learn kindness and perseverance (as well as the importance of a good “Yopp”) from the very determined—and very endearing—Horton the elephant. Recommended for: Dr Seuss in general has written so many timeless books. They often contain a story within the story, and while this is no exception, the story itself is enjoyable for people of all ages. Now a major motion picture (but we'll get to that tomorrow!) this book is one that's sure to delight even when it's been years since you've last read it.